Whether you’re with a partner this Valentine’s day or just enjoying the day, do something nice for yourself – and maybe it will involve chocolate! This entry was posted in Inspiration, Nature, Photography and tagged culture, Family, Flowers, photography, Photos. Thanks, Carrie! Just took it this morning! Beautiful! I definitely have chocolate on the agenda today. Happy Valentine’s Day, Cathy. Me too, Amy. Happy Valentine’s Day! Much love to you on Valentine’s Cathy! And chocolate.. always chocolate. Dark all the way! And my favourite chocolates are this company called Coppeneur; I think it’s German. They have amazing flavours like mango lassi and passionfruit and chili. 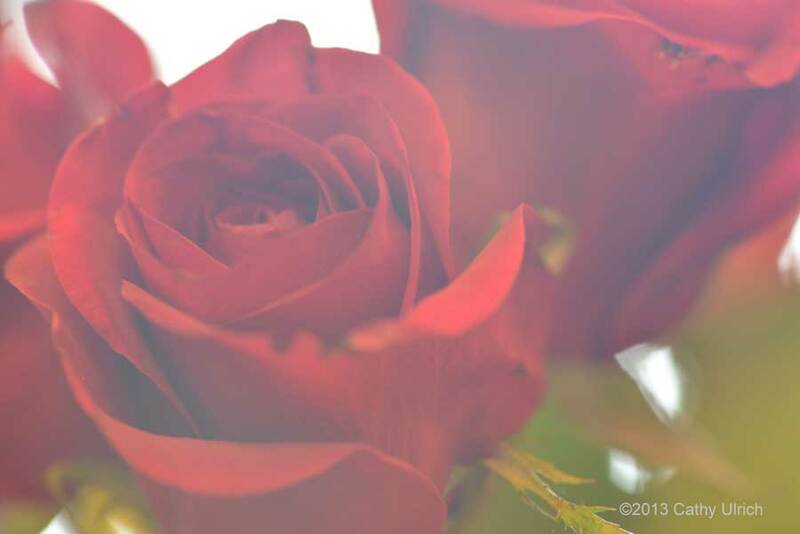 Gorgeous rose—happy Valentine’s Day, Cathy! Thanks, Weebs! Hope you and Mr. Weebles have a fun evening (rumor has it at Hooter’s!) I told Peter and he suggested I try photoshopping a Weeble with a short T-shirt and orange hot pants. What do you think? Yes, I’ll be skiing all day today, maybe even end up with a net loss! Mine involved orchids AND chocolate! Yours? Roses, skiing and dinner at my favorite restaurant in Steamboat – Bistro CV and for dessert – dark chocolate cheesecake.